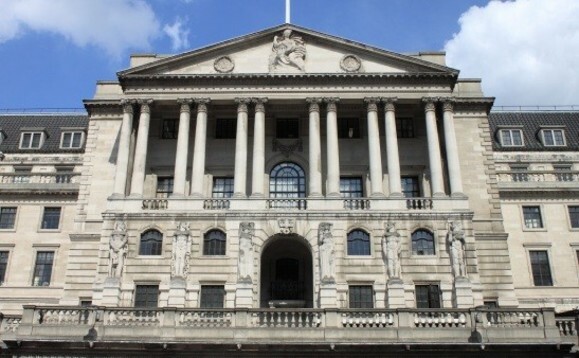 The Bank of England said Britain faced its weakest economic growth in 10 years in 2019, blaming mounting Brexit uncertainty and the global slowdown, but it retreated from the initial plan of rising rates as it awaits for Brexit clarity with less than seven weeks to go. "The fog of Brexit is causing short term volatility in the economic data, and more fundamentally, it is creating a series of tensions in the economy, tensions for business," BoE Governor Mark Carney said in a speech after the Bank's policymakers voted unanimously to keep rates at 0.75%. The BoE slashed this year's growth forecast to 1.2% - the lowest since 2009, when the economy slumped 4.2% at the height of the recession. This shock downgrade compares with 1.7% predicted in Novermber, while the Bank has also cut its outlook for 2020 to 1.5%. Its forecasts imply there is a one in four chance the UK economy dips into a recession. Sterling tumbled on the news and was trading 0.6% down versus the US dollar at $1.285. Against the euro, the pound was down 0.3% at €1.134. The Bank also signalled that there was only likely to be one increase in interest rates between now and the end of next year, compared with its previous forecast which implied two increases in the cost of borrowing. It said that about half of all firms it surveyed had now activated their contingency plans to confront a no-deal Brexit, and that uncertainty around the economy had risen sharply. That, in turn, had encouraged firms to begin stockpiling and to cut back sharply on investment. 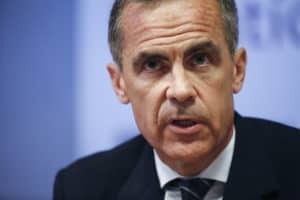 Carney said: "In the context of Brexit, uncertainty itself is one of the factors driving the outlook for growth and inflation." He added that there were still "almost as wide a range of possibilities as there were the morning after the referendum". Richard Campo, managing director of Rose Capital Partners, said: "Uncertainty over the political and economic outlook appears to be undermining confidence in the housing market. But the Bank of England is steering a steady ship in choppy waters, and today's announcement should give some comfort to potential homebuyers. "House prices are at the lowest they have been for a long time and since the start of the year a number of lenders have cut their rates in an increasingly competitive market. "Once Brexit is complete, interest rates could go up. So prospective homebuyers sitting on their hands waiting to see how things play out, may be at risk of missing the boat. People should avoid the political hype and read between the lines, with low interest rates, low house prices and a competitive mortgage market, now is a great opportunity to snap up a bargain." The BoE's decision follows recent dovish statements from the US Federal Reserve and European Central Bank.